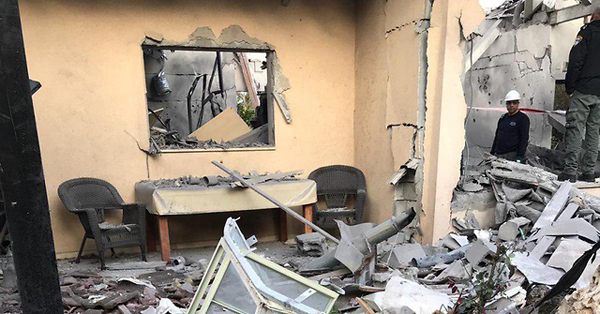 Hamas says rocket launched by accident (Maariv), Islamic Jihad warns it will respond strongly if Israel responds, Egyptian delegation travels to Gaza and warns local factions not to respond to Israeli response (Maariv), assessment is that Israeli response will be less intense because launch was an accident (Maariv). Netanyahu, the man fearful of his money, “doesn’t remember” investments? Today’s top story was that Attorney General Avichai Mendelblitt contradicted Israeli Prime Minister Binyamin Netanyahu’s claim that the latter informed Mendelblitt of the ‘state secret' behind sale of the advanced submarine to Egypt. Only Israel Hayom did not focus on that fact and reported that Mendelblitt said Netanyahu addressed the issue when questioned in Case 3000, that he cited sensitive matters and that no follow-up was needed. Netanyahu’s chief rival in the elections, Benny Gantz, said Netanyahu 'crossed all red lines' in the submarine sale affair. And, in a recording hacked from Gantz’s cell phone and broadcast on Israeli television news, Gantz was heard saying: “If Netanyahu had a way for me to get hurt, for me to get killed, he would do it.” He also said that Netanyahu might have been behind the hack of his cellphone, if it wasn't the Iranians. Meanwhile, Netanyahu meets today with US President Donald Trump, who is expected to declare that the US recognizes Israel's sovereignty over the Golan. Two Hamas prisoners stabbed two Israeli prison guards, seriously injuring one, making a top story in the Hebrew newspapers. The Hebrew newspapers wrote that 12 prisoners were also injured in the incident, two of them seriously, but the Palestinian news agency, Maan, reported that Israeli guards assaulted and injured hundreds of Palestinian prisoners after the stabbing. While the Hebrew newspapers assumed the stabbing was over the blocking of cellphone reception, prisoners told Maan that Israeli guards assaulted prisoners while they were being transferred between sections, provoking prisoners who then attacked and stabbed two Israeli guards. Israel's Own Con Man (Avigdor Feldman, Haaretz+) Bibi is playing the victim, and we're consoling him for robbing us. This is the last opportunity to enjoy Netanyahu's abilities. In the next elections, he won’t run (Meir Uziel, Maariv) In the eyes of many voters, the prime minister brings such significant achievements to the state even when one hand is tied behind his back, that they apparently wants to take advantage of his skills for a few more years. This will be done to the man (Nahum Barnea, Yedioth Hebrew) Washington. Pollard, Jonathan Pollard - this is the election gift that remains on the shelf. If Netanyahu gets it today, in his meeting with President Trump, this is in addition to the statement in front of the cameras, not just a Tweet, which recognizes Israeli sovereignty on the Golan Heights, then he can return to Israel as a winner. The Pollard affair is re-emerging the week Rafi Eitan, the man responsible for Pollard's espionage career, died. Eitan despised Pollard. He said more than once that instead of breaking into the Israeli embassy building in Washington, Pollard should have shot a bullet in his own head. But Pollard chose life, and a series of Israeli politicians, from the right and from the left, tricked him and gained from him. The Israeli street is now convinced that he is a hero, someone of the calibur of Eli Cohen, our man in Damascus, if not more than that. Bringing him to Israel will make a living for the Likud election campaign until 9 April. Afterward, he will become a nuisance, a bone stuck in the throat, but who cares now what happens later…There are all kinds of ways to examine the relationship between Jerusalem and Washington in the Trump era. It can be seen as a tremendous revolution, breaking convention. For 70 years, American administrations have refused to officially recognize de Jure Jerusalem as the capital. Trump came and did something. For 38 years, since Begin's Golan Law, US administrations have refused to recognize Israel's rights in the Golan Heights. The truth is that Israeli prime ministers, including Netanyahu, did not recognize Israel's rights in the Golan Heights. They saw it as a bargaining chip, a deposit, on the way to an agreement with the Syrians…Beyond the criminal aspect, Special Investigator Mueller's findings teach something about Trump's manner of business. Trump did not fall in love with Putin - he saw Putin as an investment, a source of profit. First a financial gain and then a political gain, against Hillary Clinton. Money is not an investor - he doesn’t have any. Instead he invests flattery. He is ready to go very far in his cooperation with Putin: in a world he knows, the real estate world and the casinos, there are no bad partners. This is also true of Trump's investment in Netanyahu. He does not invest in Israel - he invests in Netanyahu. What impresses me with these relations is the control that Netanyahu and Ron Dermer, his ambassador in Washington, have in the White House decision-making process. When Netanyahu gets hit in the polls because of the revelations about his business with his cousin, Trump trumpets recognition of the Golan Heights. When Benny Gantz is asked to appear at a conference of AIPAC, his speech was set for the hour when Netanyahu would meet with Trump at the White House. If Gantz had persuaded AIPAC to change the hour, the meeting time in the White House would have changed: Dermer controls both fronts. The obvious question is what Trump wants in return: there is no free love. The answer, meanwhile, is not much. Trump had received tens of millions of dollars from the casino tycoon Sheldon Adelson: an elections gift in exchange for an election gift. He received the support of the Evangelicals, which is an important factor in the Republican Party. The Evangelicals are not willing to hear about Trump's peace plan that entails an Israeli withdrawal. To them, any withdrawal would distance the day when Jesus Christ would return, all the Jews would convert, and salvation would come into the world. Trump Just Boosted Netanyahu – but Handed Putin an Even More Priceless Gift (Evan Gottesman and Abe Silberstein, Haaretz+) Bolsters Putin's claim to Crimea. Empowers Israel's West Bank annexationists. Discomforts Arab allies. Inflames the Druze: Why Trump's Golan move is so risky, transparent and foolish. In Trumpland, there is no such thing as a free lunch - not even for Netanyahu (Orly Azoulay, Yedioth/Ynet) While the US president has handed the Israeli prime minister Jerusalem and the Golan and walked away from the Iran deal, the day is approaching when the bill for such goodwill has to be paid - and Trump is determined to push through his 'deal of the century' in the Mideast. Cleared of Collusion With Russia, Trump Can Now Collude Shamelessly With Netanyahu (Jonathan S. Tobin, Haaretz+) Netanyahu is breathing a sigh of relief: Now Trump is free to campaign for him, joining a long line of U.S. presidents who've interfered in Israel's elections. The only downside is what Trump will expect in return. If, in Gantz's view, the submarine affair is a critical blow to security - why did he remain silent in real time? (Prof. Arieh Eldad, Maariv) A submarine costs half a billion euros. You can not buy six or nine, without the chief of staff knowing, and without the defense minister and the cabinet approving it, why did they remain silent and accept the terrible decree? Netanyahu's Surprise Interview Merely Underscored His Poor Judgement (Haaretz Editorial) The attorney general must order an immediate probe into the premier's contradicting stories and his decision-making concerning military procurement. 5 fast facts on the submarine affair (Ariel Kahana, Israel Hayom) The Blue and White party is accusing Netanyahu of treason. Do they not see that one day this filth will be thrown right back at them? In Netanyahu's Surprise Interview, Israel's Arab Citizens Slipped Through the Cracks (Odeh Bisharat, Haaretz+) Benny Gantz and Yair Lapid, without the Arab parties you are powerless. Salvation will come only if you join forces with us. The figures belie claims of a racist government (Doron Matza, Israel Hayom) While claims of racism have taken over political discourse, this past decade has seen unprecedented efforts by the Israeli government to help the Arab minority integrate economically and socially. Unanticipated Gaza rocket leaves Israel with tough choices (Ron Ben-Yishai, Ynet) A long-range rocket attack covering some 120km caught Israel by surprise; the rocket, apparently launched by Islamic Jihad, hit an area not believed to be protected by the Iron Dome missile defense system; now Israel must deliver a harsh response in a bid to restore some of its shattered deterrence without setting the West Bank alight too. On a clear day in the West Bank, you can see the Israel you lost forever (Bradley Burston, Haaretz+) A visit to a settlement leader whose vision of Israel’s future borders includes parts of Syria, Iraq, and Lebanon and even Iran. 'Traitor!' Why it's so dangerous to be an Israeli army whistleblower (Daniel Beaudoin, Haaretz+) IDF veterans who testify about potential war crimes don't attract celebrity status, like in America: for most Israelis, they've betrayed the 'nation-at-arms' where security always trumps civil liberties and democracy. Two-state solution: U.S. Jews won't budge. Will it cost them their relationship with Israel? (Allison Kaplan Sommer, Haaretz+) Supporting two states was not always a given for American Jews. But once it became the preferred solution, while Israelis grew increasingly skeptical, it drove the two biggest Jewish communities in the world apart. Benjamin Netanyahu, the undertaker of the two-state solution (Anshel Pfeffer, Haaretz+) The prime minister has deftly used the status quo of the Oslo Accords to prevent the forming of a Palestinian state. You have the power to stop apartheid: An open letter to AIPAC (Marzuq al-Halabi, +972mag) American Jews, who play such a central role in what happens in Israel, can put an end to the oppression of Palestinians on both sides of the Green Line. But only if they tell Israelis that enough is enough. AIPAC is more demonized and divisive than ever. Here’s how to fix it (Allison Kaplan Sommer, Haaretz+) The pro-Israel lobby must abandon some long-entrenched habits if it hopes to prosper in these hyperpartisan times. For starters, it needs to stop being so secretive. Talk of Golan annexation leaves out those expelled from it (Tom Pessah, +972mag) President Trump’s recognition of Israel’s annexation of the Golan Heights has been widely celebrated by Israelis. But do those same Israelis know of the hundreds of thousands of people expelled from the territory during the 1967 war? Kurds: Golan 'must remain Israeli' (Rachel Avraham, Israel Hayom) U.S. President Trump is not alone in viewing Israel's presence on the Golan positively. A Kurdish delegation that recently visited Israel said they too support Israel's permanent control of the territory. 'I Just Don’t Want to Be Hurt' Egypt Locking Up Transgender Women in Men's Prisons (Zvi Bar'el, Haaretz+) Egypt takes pride in an actor winning the Oscar for playing a queer icon, but makes life difficult for LGBTQ citizens – especially transgender ones.